The MSU Police Department has the sole responsibility for providing police and security functions on the campus of MSU. This means that groups or organizations may not contract with any off-campus agency for policing, parking, or security of events held on campus. Police and security needs must be discussed with the MSU Police Department and if it is determined that a need exists, MSU Police will provide the resources. Often this incurs a cost to the organization. In addition, there are some opportunities for officers to be assigned at a student function without charge to the organization. 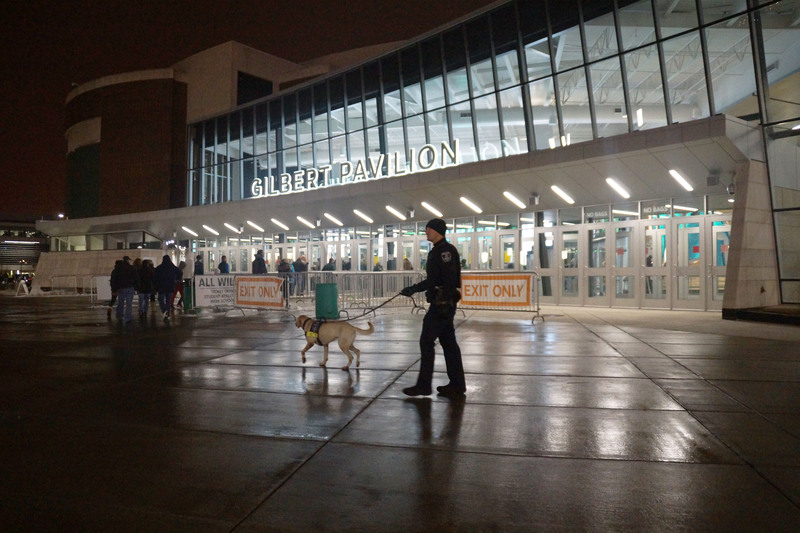 The Special Events Division coordinates and assists with planning for any special event on campus that involves resources from the Michigan State University Police Department. Currently, special events across campus that request MSU Police resources have increased to over 1,300 events per year. Many factors determine the need for security or police services and the department works with the organization to make the event as safe and secure as possible at the lowest possible cost. Determining security needs is done in consultation with the venue managers prior to making the final decision on police and security staffing levels. The MSU Police Department works closely with Infrastructure Planning and Facilities and they also have some good information that will assist with event planning. A link has been provided to access their resources. MSU requires all student organizations hosting an event at MSU to complete a planning form through a website called Community. A representative from the Department of Student Life will indicate which University offices will need to review the plans for your event and will obtain the appropriate authorizations before the event can be scheduled. A representative of the Student Life Office will indicate that the plans for your event have been reviewed and that the services and facilities are available. For events that may require services from the MSU Police Department, the planning form must be forwarded for review at least 21 days before the event and approved by the MSU Police. An officer assigned to the Special Events Division will review all planning forms and will then authorize the event to take place on campus.